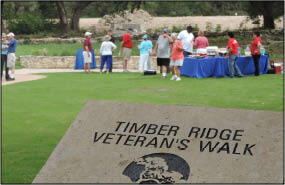 The Vintage Oaks community formally dedicated the Veteran’s Walk at Timber Ridge Park on June 27th. Cub Scout Pack 808, Steve Hudson from the Texas Veterans Land Board, and many neighbors gathered to show their appreciation to the many homeowners, friends and family who have served our country. Formal resolution, no.798, from State Senator Donna Campbell’s office was issued and proclaimed by Ruben Villarreal during the dedication. Packets of wildflower seeds were also handed out to commemorate the event. Anchored by an oak grove featuring 300+ year old oaks, Timber Ridge Park offers owners and guests the serene beauty of the Hill Country for reflection and gathering. The 23-acre Park is the newest addition to the 3,300-acre Vintage Oaks community. The Veteran’s Walk features over 100 engraved stones honoring loved ones and their service, some dating as far back as the Revolutionary War. There are still homesites available in the Timber Ridge neighborhood if you want to be just a short walk or bike ride from the beautiful Timber Ridge Park. This dramatic area has some of the most breathtaking views in Vintage Oaks, high elevations, privacy and greenbelt surround. Contact your land consultant at (830) 885-3054 to learn more about this current offering. Texas experienced historic and devastating floods recently, with more than 45 counties in the state added to a disaster declaration. Comal, Hays, Wilson and many surrounding counties have been affected, with thousands of SouthStar Communities’ neighbors and friends facing terrible circumstances and in need of help. SouthStar was and remains committed to doing their part to reach out to those impacted by these floods. 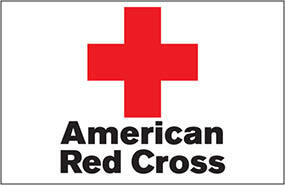 The company inspired donations to be made through the Red Cross by SouthStar Communities residents and raised $6,870. The company then matched the funds that were raised, for a grand total of $13,740. This money will be used to help flood victims purchase staples like food, clothing, and other necessities that were lost in the floods. The summer selling season has been strong in Vintage Oaks, with brisk activity on the sales side, and a limited number of new listings. Two Vintage Oaks custom homes recently appraised at $177/ft. and $182/ft., representing a strong, healthy market for sellers in the community. Contact Viki or Terre at (830) 708-1625 for a free market assessment if you’re selling your home. 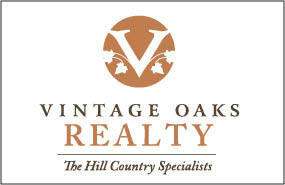 Visit the new Vintage Oaks Realty website at www.vintageoaksrealty.com for a full list of available Hill country Homes, to learn more about Vintage Oaks Realty and to find out what your home is worth today! The bulletin boards have arrived and one was installed in the Amenity Center breezeway. This board will be used for the promotion and publicity of events that interest the community. Because there is limited space, certain regulations will be put into place. Please contact Kelly Romenesko at Vintoaks@ciramail.net for more information. The Boards at both mailbox kiosks require additional mounting hardware and will be installed once these parts arrive. More than one quarter of the Vintage Oaks family consists of friends and family of current property owners. We are proud to have a community who wants their friends to live here too. If you have friends, family or co-workers that would love Vintage Oaks, tell us and we’ll give you $500 when they close on their new homesite. Tell a friend or family member about the new Resources section of the website! Here you can view neighborhood photo and video galleries, access all of our free real estate buying guides, learn more about Texas Veteran Land Loans, read previous community newsletters and more! Residents brought chairs and blankets to the new Timber Ridge Park on Wednesday, May 20th for Vintage Oaks’ first summer concert! 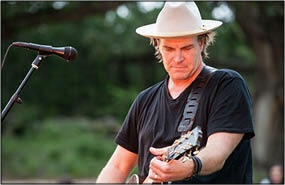 Jack Ingram played an acoustic show with hits like “Measure of a Man” and “Goodnight Moon”. Dry Comal Creek served local wine and sangria, and several amazing food trucks were there serving food including; Mr. Meximum, Paciugo Gelato and Bayou Bill’s Cajun Kitchen. 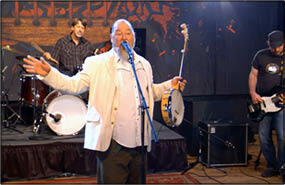 Shinyribs performed at Timber Ridge Park for the second installment of concerts in the park this summer. Guests took in the beautiful backdrop of the park on July 14th and enjoyed the lively alt-country/Americana sounds of singer/songwriter Kevin Russell and his band. Music and scenery paired with Mexican and Cajun cuisine topped off with shaved ice for dessert - what a memorable summer evening! 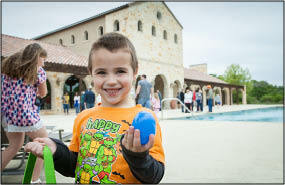 The 2015 Community Easter Egg Hunt was held at the Vintage Oaks Clubhouse on April 4th. Kids found over 800 Easter eggs filled with candy and toys and enjoyed the on-site petting zoo where they got to meet goats, chickens, ducks and even ride a pony! Seminars at the Vintage Oaks Clubhouse are given throughout the year and the last few months’ presentations included topics ranging from interior design to tree care and composting. These seminars, given by local experts, are informative no matter what stage you are experiencing with your property at Vintage Oaks, whether you are just beginning the building process or if you are a long time resident. Please contact us at the Vintage Oaks Sales Office at (830) 885-3054 for possible sponsorship opportunities for your child’s sports team. Click here for a calendar of all the upcoming events at Vintage oaks.  The Vintage Oaks Property Owners Association is managed by RealManage out of their Austin location. Kelly Romenesko, Community Association Manager, is on site in the Vintage Oaks Sales office several days during the week. In order to better serve residents, Kelly will be available to meet with Owners most Tuesdays, Wednesdays and Fridays from 11:00 a.m. to 1:00 p.m. We encourage you to call to schedule a time to talk with her. You can reach Kelly via email at VintOaks@Ciramail.com or via phone at (830) 885-0012. Cindy Neale is the Assistant Community Association Manager and is based in the Austin office.